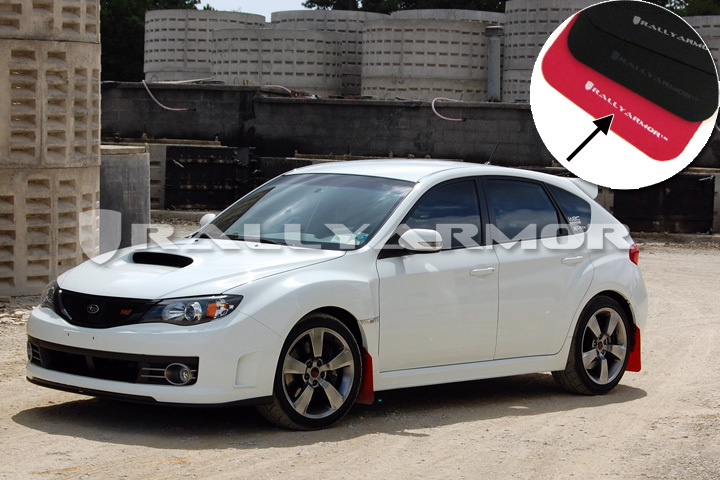 Rally Armor MF15-UR-RD/WH mud flaps are made from a red urethane with a white logo and are the perfect solution to protecting the paint on your Subaru 2008-2014 STI Hatchback or 2011-2014 WRX Hatchback. These are the best option because they are the most flexible and durable mud flaps available for your Subaru. Rally Armor UR mud flaps offer strong, impact resistant urethane construction while blending maximum flexibility and long term durability. Enjoy excellent coverage against paint damaging road debris and a simple installation. Avoid painstaking and unnecessary drilling; simply bolt the stainless steel brackets and flaps to the vehicle. 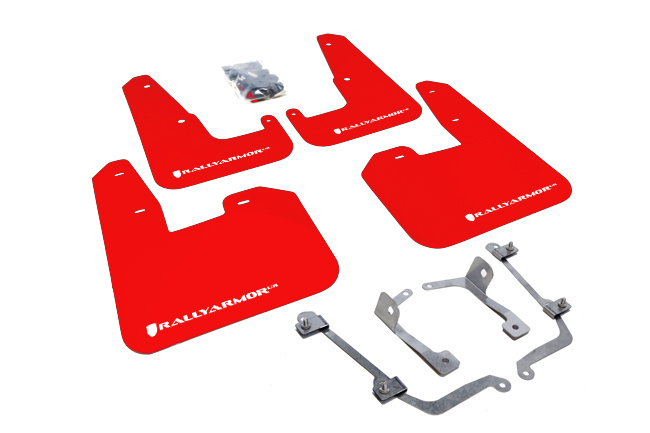 Rally Armor UR V2 mudflaps flex easily and yield naturally to road conditions all while maintaining their form despite extreme cold and hot temperatures. Get long wearing protection against harsh grit, gravel, mud, snow and most of weather’s worst conditions. 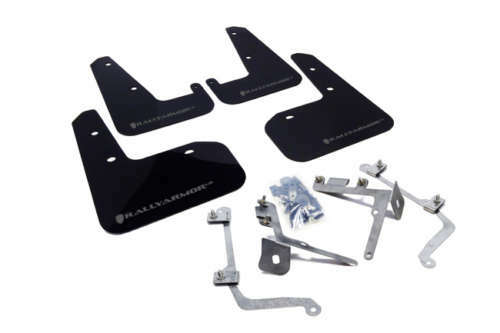 Each Rally Armor UR V2 mud flap set for a Subaru 2008-2014 STI Hatchback or 2011-2014 WRX Hatchback includes 4 UR mud flaps for all 4 corners of the vehicle, instructions, 4 stainless steel mounting brackets and hardware.